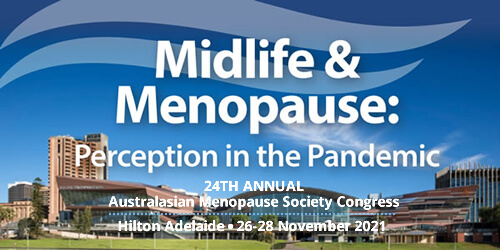 To evaluate the knowledge and attitudes of Australian health professionals (HPs) including general practitioners (GPs), gynecologists and endocrinologists, to menopausal hormone therapy (MHT). Participants were recruited from medical societies/colleges and a national GP conference. An online survey containing devised and previously published questions was used. Data analysis included frequencies, ANOVA, χ2 and regression analysis. A total of 745/888 responses were analyzed. Fewer HPs (52%) reported being knowledgeable regarding non-hormonal therapies compared with menopause physiology or MHT (72%), with no significant knowledge differences between specialties. Most HPs (91%) would offer MHT to symptomatic menopausal women. The combined oral contraceptive pill (52%) was preferred for women with premature menopause. Transdermal MHT was preferred for women >50 years, although differences were observed between specialties (p = 0.005). HPs varied regarding duration of MHT for women with premature menopause (p = 0.009) and women over 50 years (p = 0.001). Menopause society members were more likely to prescribe MHT and for longer duration (p < 0.05). Consumer concern regarding breast cancer was considered the main barrier in prescribing MHT. Although most HPs will recommend MHT, when indicated, for symptomatic menopausal women, variations exist between specialties in prescribing practices. HPs’ knowledge gaps and perceived consumer concerns are barriers to prescribing MHT. Yeganeh L, Boyle J, Teede H, Vincent A. Knowledge and attitudes of health professionals regarding menopausal hormone therapies. Climacteric. 2017 Aug;20(4):348-355. doi: 10.1080/13697137.2017.1304906. Epub 2017 Apr 5.